Unique and refreshing original jazz music, featuring lush vocals and amazing musicians. 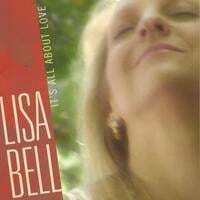 With the release of her second CD, "It's All About Love," Lisa Bell takes a look at all aspects of love, with eight songs co-written by Bell and four other never-before commercially recorded tunes. The music reflects Bell's look at life, love and the passion of all types of relationships. Her vocal styling is fresh and all her own, and the CD includes a host of unique players for a musically rich and artful album. The title song "It's All About Love," co-written by Bell, is sure to receive wide acclaim with smooth jazz and crossover pop fans. This song and others include intricate backup vocals recorded in both Denver and in New York at the famed Soundtrack Studios. The final track of the CD, the soulful "Burning Desire," features an appearance by Bill Payne of Little Feat on piano and organ. Each song- from the sultry and simply beautiful "When I Wish," to the elaborately arranged string section featured in "Along the Beaches" -captures Bell at her very best. The CD marks a new pinnacle in her career, highlighting for the first time her original material from the heart. Lisa Bell has loved and has been performing jazz since she can remember, receiving her BA degree in vocal performance with an emphasis in jazz from the Conservatory of Music at the University of Missouri-Kansas City. In Kansas City, Lisa worked with Bobby McFerrin, Marilyn Maye and Ida McBeth among others. She also recorded numerous jazz demo albums as well as jingles during her eight years in the Kansas City area. Lisa has appeared in the Denver area with Jennifer Lane, Gabriel Mark Hasselbach and numerous other rock, funk and R&B groups. She writes original songs in jazz and jazz/pop crossover realms. Lisa honed her vocal skills over the years by performing every genre of music from musical theater to opera and country, but her true passion is her original music and vocal jazz. Lisa released her first CD "Dare To Be..." in 2001, and her second CD "It's All About Love" in 2005. Her new CD features original music written by Bell and a collaboration of writers, as well as new music written by a host of jazz/pop crossover writers. Lisa performed as the opening act for the 2004 JVC Winter Park Jazz Festival; on the Jazz Stage at the 2003 & 2004 Taste of Colorado; on the Janus Main Stage at the 2003 Cherry Creek Arts Festival; and on three unique "CD104.3 Jazz on the Tracks" trips aboard an Amtrak train touring through the Rocky Mountains. I wouldn't call this wonderful CD "strictly jazz"... there are elements of everything th' world 'round us is about... but it's clear that Ms. Bell is fully capable in the vocal jazz arena. Her voice is classic... full-bodied & laden with emotion. The title track is (actually) my favorite, & in addition to the great lead vocals, it's been arranged to make the background vocals stand out, too. I'm really, really impressed with this lady's crystal-clear talent. Cut 3, "Don't Wait Forever" takes on a real Latino feel, & is running a close second for my favorite pick... Lisa switches styles easily, & her voice is right on the rhythms... your feet will be beggin' you to get up & dance th' night away. "Ain't Divorce Grand" will make you feel th' hurt, & if you ain't had "the blues" before, you'll know how they feel at the end of this one. This album is our first listen to Lisa's work... she's a total pro, the recording is excellent & my ears give this a MOST HIGHLY RECOMMENDED for any listener who wants to hear talent that shines ever so brightly!